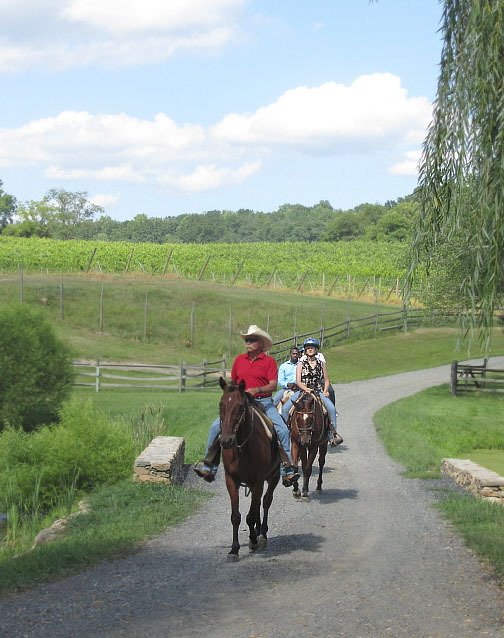 Long before any of them were acquainted with social networks online, a group of friends and neighbors envisioned opening a series of connected trails in Northwestern Fauquier County near the small village of Orlean. The group, mostly horseback riders and residents of two major roads just north of the village, included hikers, mountain bikers and other outdoor enthusiasts. “It really started as a meet your neighbors sort of thing,” said one of the original founding members, Donn Smith. About that time he’d moved a few miles down the road to a property on acreage that came with a network of trails that had been maintained by the Warrenton Hunt. “We met a lot of our new neighbors on those trails,” he said. Since it was formed over a dozen years ago, the Orlean Community Trail System (OCTS) has grown into an interconnected network of trails that gets larger every year, aided these days by social networking. Although initially communication was by mailed newsletters and invitations, communication is now mainly via email and social media. The group has its own website and Facebook page. “It’s really more about the community than the actual trails,” Smith, who serves as OCTS membership director, explained. “If you have property, at some point you might find yourself wanting to go off that property and so you ask your neighbor if that would be OK, and maybe you offer your land for your neighbor to use in the same manner.” People were immediately receptive to the idea, and the OCTS was born. Rather than knocking on strangers’ doors seeking landowner permission, OCTS hosts community events where neighbors meet each other. The OCTS mission statement reads, in part, that it is “a non-profit community-based organization of members and friends” who seek to restore trails in the Orlean area to the way it used to be, where private landowners allowed riders and neighbors to traverse their property in a responsible fashion. In turn, OCTS members abide by OCTS trail etiquette and build back up a sense of community in an area that has, over the years, lost some of that ‘neighborhood feel’ that prevailed in earlier days in the area. Membership is limited to residents within a 10 mile radius of Orlean, VA. The main and largest event is the OCTS Annual Snipe Hunt, which, like the snipe hunt it’s named after, doesn’t really have anything to do with hunting but is rather, a guided trail ride for horseback riders and hikers. 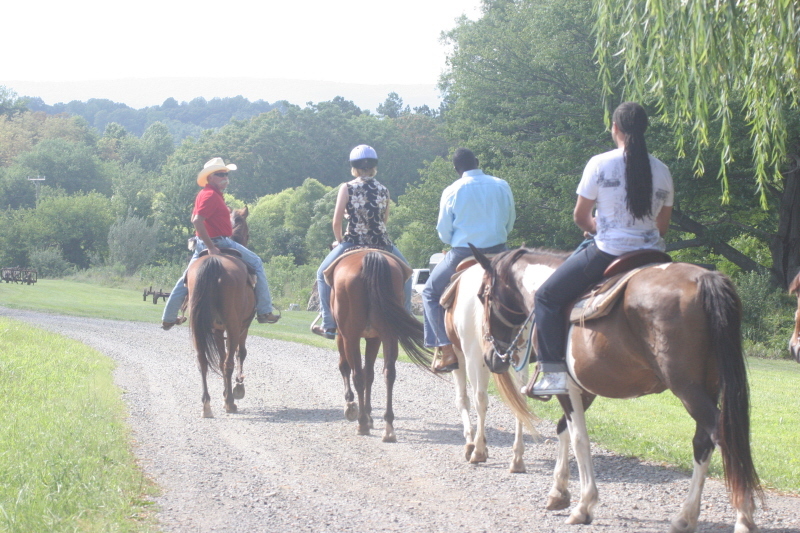 Both groups gather for the trail rides and/or hikes to meet each other and explore trails, with a potluck meal after. 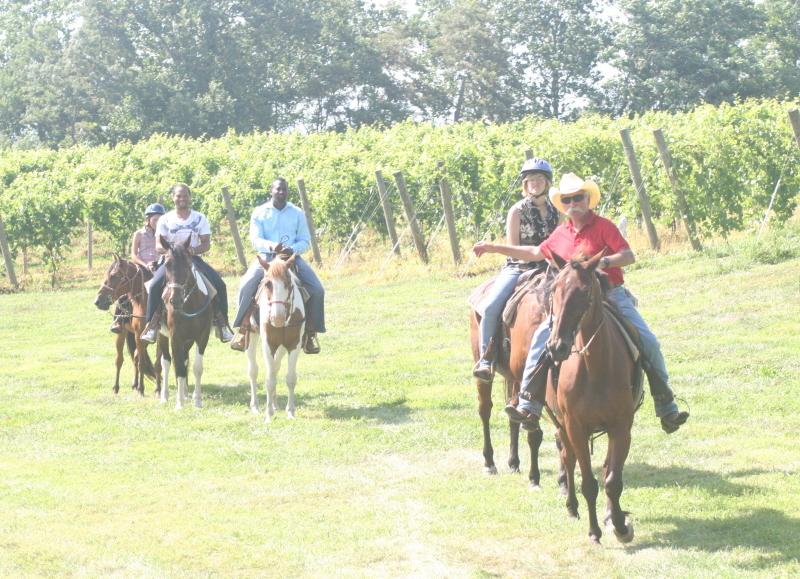 OCTS has also hosted trips to Charles Town Races, barn dances and bonfires that have been very popular, attracting local politicians as well as neighbors. Landowners feel safer about opening their property to riders, hikers and bikers that they know, so the success of the OCTS has come from the neighborhood networking. “We haven’t had a single complaint,” Smith said, adding that landowners can restrict access to certain times and certain areas as needed for weather or planting. OCTS relies on neighborhood leaders in its areas – “We’re always seeking more, to expand our trails so that one day we’ll have a 10-mile radius from the center of Orlean,” – Smith said, and they also have a trail committee that can open new, or maintain existing trails, if the landowner is willing to offer permission but isn’t capable of clearing trails. “So far, we haven’t ever had to use them,” he said. There is no publicly available map of the existing and proposed trail system, which is currently about a seven-mile network, and OCTS membership is restricted to residents within its area only. And in this manner, a landowner who agrees to let OCTS members cross his or her land, knows the people using the trails, and the users know and respect the landowner’s wishes and agree to abide by trail etiquette. The cooperation gives both landowner and user a feeling of security that comes from being part of a community. Giving OCTS permission is not a blanket invitation for anyone to use the trails, since only Orlean area residents can be members of OCTS. There are side benefits too: although most of the active members are riders, not all are since most landowners also allow hikers. With the growth and participation of the community, the OCTS has also served to reunite strayed or missing livestock with their owners, as well as quite a few cats and dogs. Future plans include broadening participation and adding adjacent communities so there is a network of interconnected trails within a 10 mile radius of Orlean. Eventually such a system would allow riders to or hikers to go from Orlean to Warrenton, or from Hume to Orlean; residents and landowners of neighborhoods in Hume and Bears Den have already expressed interest. Crossing over into the adjacent neighborhoods in Culpeper and Rappahannock counties isn’t out of the realm of possibilities, either. “All we need is people in those areas willing to be a committee chair and reach out to their neighbors,” said Smith, who is pleased that the community concept has been growing exponentially. In an area where farms are being sold off into residential tracts with many new people moving in, the OTCS helps maintain the neighborly small town feel for old and new residents alike.